Social Media Marketing role is critical in fast-pace growth of Digital Marketing in modern marketing world, traditional marketing still exists but marketers are focusing on this well advance medium to interact with their target market, time has proved that Social Media Marketing is one of the most advance and interactive way to grow business with minimum marketing budget. Introduction to social media and how it has altered the consumer decision-making process and communications paradigm. Describe the role of social media in marketing strategy and assess the tradeoffs in using social media relative to traditional communication methods. 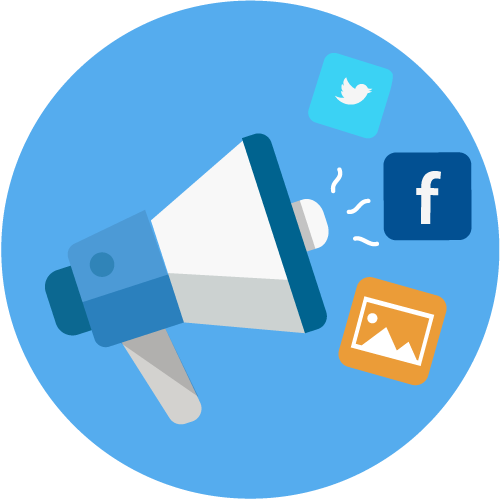 Learn how to set social media marketing objectives that are linked to business objectives. Overview of most popular Social Media Marketing Networks (Facebook, LinkedIn, Twitter, Instagram, YouTube). Learn how to create social media content that attracts and retains consumers’ attention and motivates engagement and sharing. Describe the role of storytelling in a digital landscape. Understand how to evaluate and select platforms for distributing content. Use of Content Development Tools like Photoshop, Video Edit and WordPress. Examine how social media listening is integrated into marketing decision making. Introduction to approaches to social media listening and how to draw inferences from listening data. Learn how social media is used to facilitate open innovation and co-creation. Learn use of Social Media Analytics and Reports. The Social Media Marketing course is suitable for people who are responsible for the planning, execution and management of social media campaigns. Social media specialist, enthusiasts, executives or anyone who would like to enhance their digital marketing knowledge base in this area would excel on this course. This specialist course is suitable for any level of skills or experience and is designed to prepare you to engage specifically with social media marketing within an overall digital marketing domain.